It’s hard to visualize $165 billion. That’s the value of food wasted in the U.S. annually. It is also hard to grasp the staggering amount of food — 246,000 tons that is wasted right here in Montgomery County every year. The enormity of food waste hit home for me watching farmers donate many bathtub-sized grey bins of their unsold, perfectly good vegetables and fruit at the end of a bustling Sunday at the Olney Farmers Market. While there are many active food recovery programs in our community, 23% of food in Montgomery County is still being wasted, while 82,000 people do not know where their next meal will come from. A new initiative called Community Food Rescue aims to build a coordinated countywide system that fulfills the vision of the Montgomery County Council, County Executive Ike Leggett, and the on-going efforts of the Montgomery County Food Council’s Food Recovery Working Group. Read more here. View our short introduction film. Follow us on Facebook. Cheryl Kollin is program manager for Community Food Rescue. The length of the melt season for Arctic sea ice is growing by several days each decade, and an earlier start to the melt season is allowing the Arctic Ocean to absorb enough additional solar radiation in some places to melt as much as four feet of the Arctic ice cap’s thickness, according to a new study by National Snow and Ice Data Center (NSIDC) and NASA researchers. Arctic sea ice has been in sharp decline during the last four decades. The sea ice cover is shrinking and thinning, making scientists think an ice-free Arctic Ocean during the summer might be reached this century. The seven lowest September sea ice extents in the satellite record have all occurred in the past seven years. See NASA News article for full story. Eating seven or more portions of fruit and vegetables a day reduces your risk of death at any point in time by 42% compared to eating less than one portion, reports a new University College London (UCL) study. Researchers used the Health Survey for England to study the eating habits of 65,226 people representative of the English population between 2001 and 2013, and found that the more fruit and vegetables they ate, the less likely they were to die at any age. Eating seven or more portions reduces the specific risks of death by cancer and heart disease by 25% and 31% respectively. 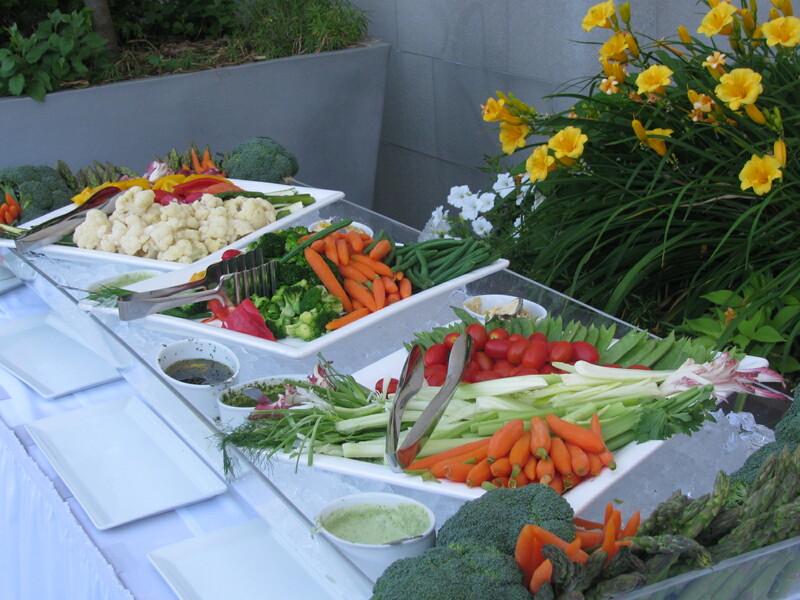 The research also showed that vegetables have significantly higher health benefits than fruit. This is the first study to link fruit and vegetable consumption with all-cause, cancer and heart disease deaths in a nationally-representative population, the first to quantify health benefits per-portion, and the first to identify the types of fruit and vegetable with the most benefit. See UCL News article for full story. Rock Creek Extreme Cleanup — Saturday, April 5, 9 am – noon. Join Rock Creek Conservancy at one of more than 50 locations along the 33-mile length of Rock Creek for volunteer trash cleanups. Master-Metered Condo Alliance Meeting — Monday, April 7, 4 – 5:30 pm at Bethesda Green. A representative from WSSC will discuss ways to reduce water consumption and get some control of water and sewer bills. Demystifying Clean Green Energy — Thursday, April 10, 6:30 – 8:30 pm, Silver Spring Civic Center, One Veterans Place, Silver Spring, MD. GreenWheaton, Silver Spring Green, and Bethesda Green present an expert assessment on the current state of the clean energy industry. Giant Food Stores signed a deal with BrightFarms to build the world’s largest urban greenhouse, expected to open this fall. At 100,000 square feet, the greenhouse aims to deliver 1 million pounds of fresh produce throughout the year to about 30 Giant supermarkets in the Washington, DC, metro area. Plans also include making the greenhouse available to schools as an educational tool on urban agriculture and sustainability. In addition to building greenhouses attached to supermarkets, BrightFarms designs rooftop farms and is working on projects in Kansas City, Oklahoma City, St. Louis, and St. Paul. To read more, check out this article. As Bethesda proceeds through a new sector plan for future development, interested parties may want to take note of Alexandria’s plan to add new bike lanes. The Alexandria City Council voted unanimously recently to create bike lanes on a span of King Street from Janneys Lane to West Cedar Street, one of Alexandria’s busiest streets. Many Alexandria residents objected to this plan, however, because it will cause the removal of more than two dozen parking spots and add to congestion. Those in favor of the bike lanes argue that more and more people are using bikes for commuting so creating a safe way for them is key to cities like Alexandria. Ultimately, the bike lanes proposal was approved with the safety of bicyclists and pedestrians in mind. Bicyclists will share the traffic lanes with motorized vehicles in the areas where parking is still allowed. New crosswalks and electronic speed indicators will also be installed for the safety pedestrians and bicyclists. To find out more information, check out the Washington Post. Maryland Day, a weekend celebration of all things Maryland, March 21-23, explores historic sites, cultural activities, and natural resources around Annapolis. See the Annapolis Green Growing a Little Greener webpage for more details. H2O Summit, March 22, 9:30 am – 4 pm, Silver Spring Civic Center, 1 Veterans Plaza, Silver Spring, MD. Topics covered include: What is Stormwater and How Can You Help Prevent Pollution? and Volunteerism & Community Efforts to Improve the Environment. The morning session (9:30 to 1:00 pm) will have speakers and workshops. Attendance is limited, so register in advance. The afternoon session will be a Family H2O Fair hosted by the Washington Suburban Sanitary Commission and will include kid’s crafts and environmental demos for families. An assortment of water related exhibitors will also be on hand located in the Great Hall. Registration is not required for the afternoon session. Want To Do Something About Climate Change? The Chesapeake Climate Action Network is organizing a series of public events drawing attention to proposals to transport liquified natural gas thru Maryland. Click here for details. According to the Gazette, “Businesses across the county have been working to make it more convenient for the growing number of electric vehicle drivers to find a place to plug in and charge up, with about 15 percent of Maryland’s electric car charging stations now in Montgomery County.” Click here to see article. Seeking to find out why and how school food should be made more healthy, Real Food for Kids-Montgomery and Montgomery Victory Gardens recently hosted a community forum to get some answers. Click here for the Gazette’s coverage of the event. Maryland’s newly enacted Lawn Fertilizer Law prohibits the use of fertilizer products containing nitrogen or phosphorus during cold weather months. Click here for details. Bethesda Central Farm Market — Open Sundays, 9 am – 1 pm at the Bethesda Elementary School parking lot on Arlington Road, at the corner of Wilson Lane and Old Georgetown Road. Food Day is tomorrow, Thursday, October 24, 2013, a nationwide celebration. 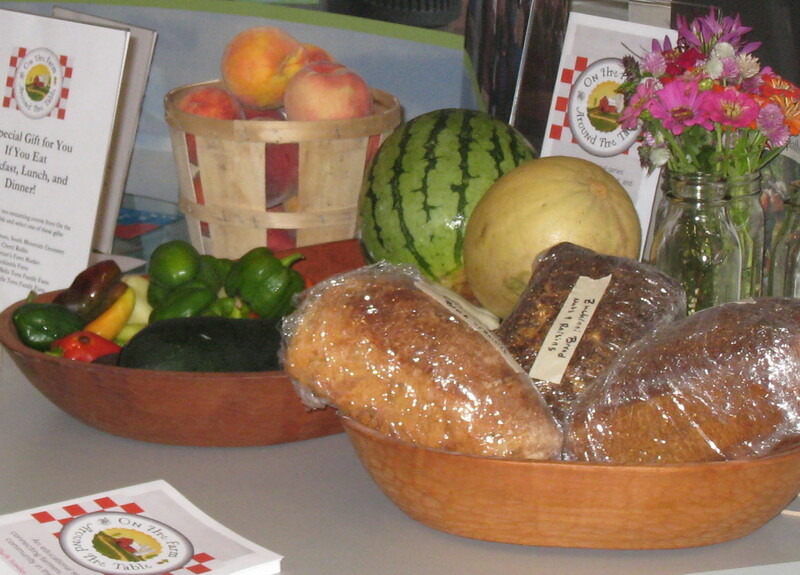 Food Day is a grassroots movement to promote healthy, affordable, and sustainable food systems and policies. It’s also about celebrating and eating real food. This means cutting back on sugar drinks, overly salted packaged foods, and fatty, factory-farmed meats in favor of vegetables, fruits, whole grains, and sustainably raised protein. Let’s look at some alarming facts associated with poor diet and broken food systems. Food consumption is increasing on a global scale—from 2,250 calories per person per day in 1961 to 2,750 calories in 2007 to a projected 3,070 calories by 2050. In 1900, the U.S. consumed about 5 pounds of sugar per person annually. By 2000, that increased to about 150 pounds of sugar per person annually, with 61 pounds of that coming from high fructose corn syrup. The average American consumes 22 teaspoons of sugar every day, while the average 14- 18-year-old consumes 32 teaspoons. Obesity—Just one of the many medical conditions linked to our poor diet. 1 out of every 3 people in the U.S. are either overweight or obese. The percentage of American children aged 6-19 who are obese has tripled since 1980. 47% of Americans will be obese by 2030. Obesity is a major risk factor for cardiovascular diseases, type 2 diabetes and cancer. The annual medical cost for obesity is about $150 billion. How about our broken food system? The U.S. Department of Agriculture’s Economic Research Service estimates that 23.5 million people live in food deserts. More than half of them (13.5 million) are low-income. With no other options, people living in food deserts get most of their meals from fast food restaurants. 1 in 6 people in America face hunger. Over 20 million children receive free or reduced-price lunch each school day. Less than half of them get breakfast and only 10 percent have access to summer feeding sites. 40% of food in the U.S. today goes uneaten. This wasted food could feed more than 25 million Americans every year. The U.S. now wastes 50% more food than in the 1970s. 74% of farm subsidies goes to 10% of the largest farms, many of which pay little attention to protecting the environment. SO, WHAT CAN YOU DO TO MAKE A CHANGE? 1. 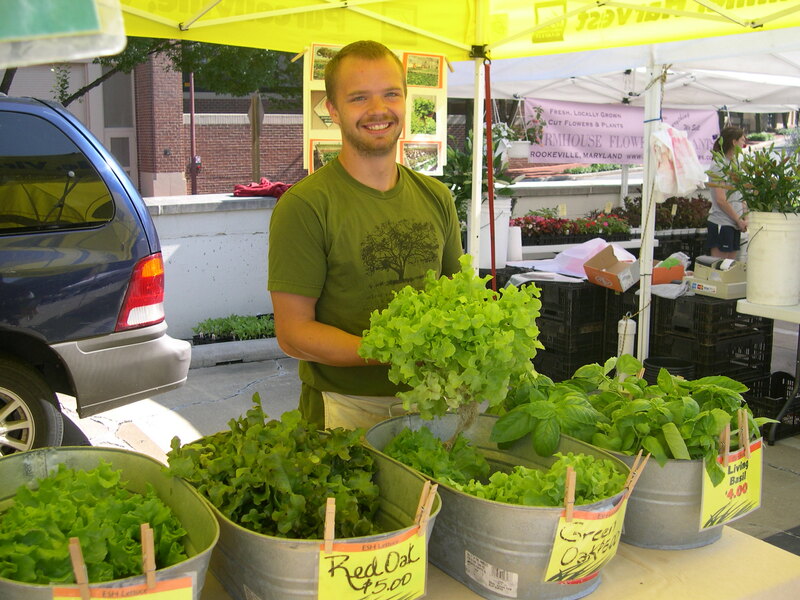 Shop at your local farmer’s markets and support local, sustainable agriculture. Here’s a list of well-known farmer’s markets within the Montgomery County area. 2. If limited resources affect your ability to purchase healthy foods, check out “Good Food on a Tight Budget.” It has a list of reasonably-priced healthy foods grown and prepared using few pesticides, contaminants, and artificial ingredients. 3. Not sure how to prepare your healthy groceries? Food Day’s Eat Real Cookbook has lots of examples of easy, healthy meals you can cook at home. Better yet, cook with your kids and teach them the importance of healthy eating. 4. Try Meatless Mondays and learn more about why it’s a smart option and how you can do it. 5. Educate yourself about what you should eat. Answer these questions and find out how your typical diet impacts your health, the environment, and animal welfare. 6. Get involved in local food banks and homeless shelters. What about organizing a food drive? You and your kids can also donate your time and make a difference to people in your community. 7. Tell your friends and family about eating real food and encourage them to get involved in their community. Start by sharing this post with them!